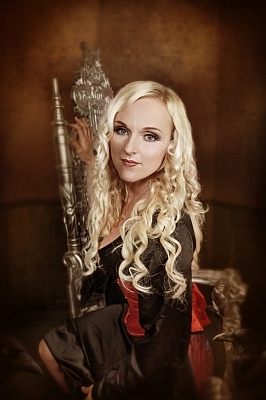 My destiny . . . .
Fresh from her breakup with gothic-metal masters Theater of Tragedy, vocalist Liv Kristine elected to form her in own band, in 2003 she came together with most of the musicians from Atrocity to form the band Leaves’ Eyes. Rather than continue with gothic metal, Kristine and the band instead played a unique approach to Viking metal fusing symphonic power metal with facets of folk metal. Kristine immersed herself in history-driven lyrics and in learning various languages, some of which she would use on the band’s albums. In 2004, the band released Lovelorn, which was followed up with 2005’s Vinland Saga, which featured stellar tracks such as the rousing “Elegy,” the somber yet beautiful “Leaves’ Eyes,” and the lush “Twilight Sun.” Collectively, Vinland’s Saga is a concept album whose songs tell the tale of Leif Erickson, who discovered what he called Newfoundland (North America). 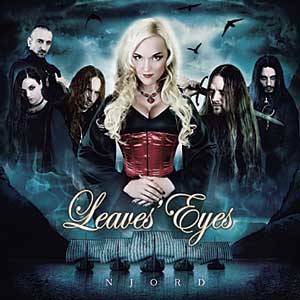 In 2009, Leaves’ Eyes unleashed its third full-length studio album, this one titled Njord, which means “god of the wind and sea.” On this album, the band was complemented by a full orchestra and choir, giving the songs a truly symphonic and rousing sound. 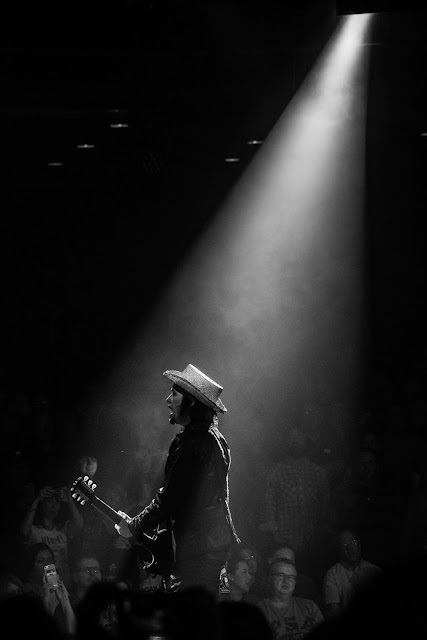 Featuring stellar tracks such as “Take the Devil in Me,” “Irish Rain,” and “Scarborough Fair,” the album is held together by the track “My Destiny,” which was also released as an EP with various versions of the song on it. The songs start off with a bird chirping off in the distance; as a piano begins to play (Alexander Krull), so does the voice of lead vocalist Liv Kristine. Once she delivers her initial verses, guitarists Thorsten Bauer and Mathias Roderer throw down an incredible riff under which drummer Seven Antonpoulos (Channel Zero) and bassist Alla Fedynitch (Eyes of Eden) create a solid rhythm section. Once the riff is delivered the band pulls back, with Kristine delivering the second set of verses before the music kicks in again at full throttle. 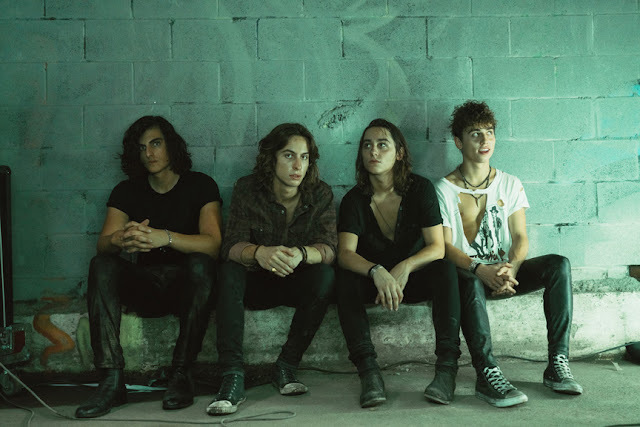 Krull brings back the piano, layered on top of the guitar rhythms, and he also contributes some of his signature growls. Kristine weaves a rather sad tale, but it’s the music that makes it rousing and exciting. The mix of “beauty and the beast” vocals is important on this track, as Kristine’s lyrics tell the sad tale of lovers separated by war. The story begins with a female narrator who has returned home, leaving her husband on “northern ground.” Before she left, she gave him a necklace, so he would always have a piece of her with him. Alone and haunted, the woman holds on to past memories, always remembering that she is linked by destiny to her husband. The story then switches point of view to the husband, who is in the midst of battle, drowning in smoke and ash and blood coating ice. The warrior wonders if his wife will “mind his destiny.” While fighting, his wife’s necklace falls from his neck and is found by the enemy. An enemy warrior returns it to his wife, telling her that he is dead. Emotionally destroyed, the woman jumps off a cliff (“I’m falling into the deep”), fulfilling her promise to join him in death (“I made a promise”). In 2016, Leaves’ Eyes dismissed Liv Kristine, who has gone on to join her sister Carmen Elise Espænes in the band Midnattsol. Leaves’ Eyes has elected to continue with new vocalist Elina Siirala, but in my opinion, the band will never be able to rise to the occasion as well as it did with founder Kristine. After all, Leaves’ Eyes belongs to Liv and no one else.